Happy Tuesday! Yes it is me I am back again already with another card. As I previously mentioned there are quite a few reasons for me to do this card challenge. 4. Be creative every day which will help me relax and clear my head. 5. Strengthen my wrist after surgery and make small attempts at rehabbing my injury myself. Todays card is Wedding Cards. I created 4 of the same card. The reason for doing this is so that I could put 2 in an order that I am working through as well as adding 2 to my personal stash so that I am able to have them on hand ready for when I need them. This card again was another card that was made all from scraps, and things that I already had cut out. I am loving creating Something from Nothing. This in itself is something else that I have been working hard to challenge myself to do frequently to use up the older things before playing with the newer things. I wanted to create something classic as well as elegant, so I decided to keep my colours VERY traditional. 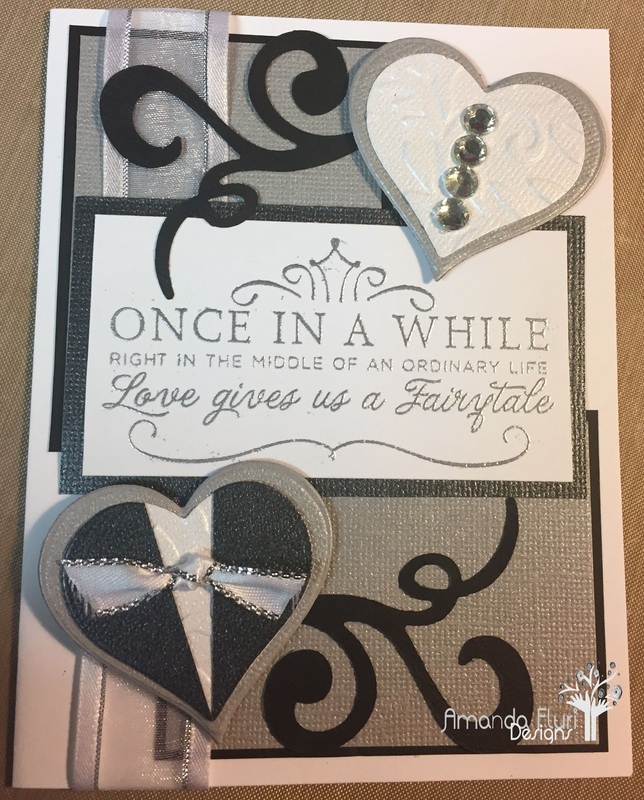 I haven't made a lot of wedding cards, so thought that it would be nice to change it up and do something different for a change. 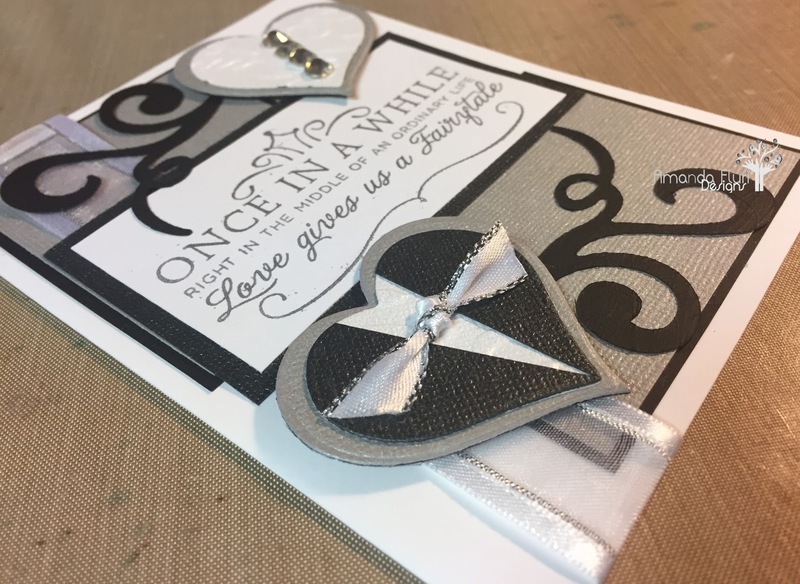 Sizzix Flourish Dies - used to cut the flourishes and positioned them behind the hearts. 2 sided tape - used to adhere various layers of the card to the card base. foam adhesive - used to adhere the hearts and add dimensions to the card. ranger matte medium - used to attach the elements to the hearts. Black Card Stock - used to cut out the flourishes and the mats. Because the paper was all scraps, and the silver pieces (rectangles) attached to the black rectangles were in my scrap box I am unable to source the exact paper. Additionally...the ribbon pieces are also scraps, so I am not able to source them either.